We would like to thank you for all your support in reading, liking and sharing our articles in the past year. Our commitment to you is the driving force behind our efforts in continuing to deliver interesting and good quality articles. During the upcoming summer weeks our team will be taking some time off, but do not despair! We will be back in September with more to look forward to. 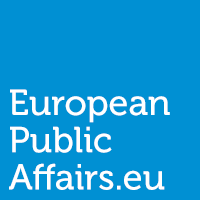 The Europeanpublicaffairs.eu team wishes you a very wonderful summer!